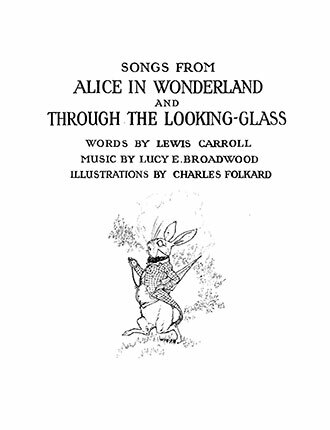 Songs From Alice in Wonderland and Through the Looking-Glass is an unusual book containing the poems from the Alice books set to music by Lucy E Broadwood. 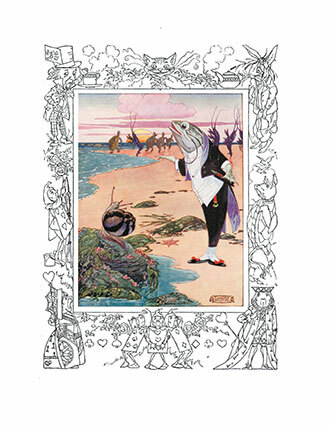 This delightful book was originally published in 1921 and the scores are decorated by the incredible colour plates and line work of Charles Folkard. 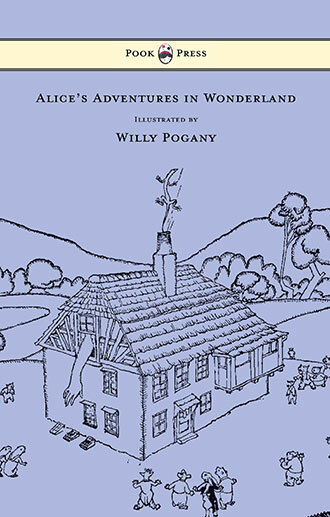 Charles Dodgson (1832-1898) is best known by his pseudonym Lewis Carroll. 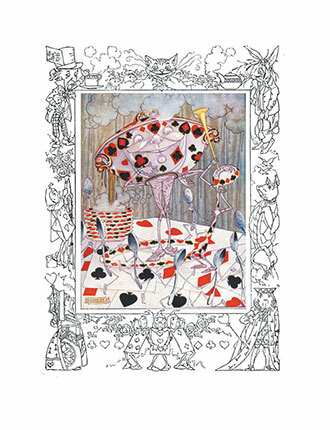 A polymath who is arguably best known as an author, but who also worked as a mathematician, logician, Anglican deacon and photographer, his most famous works are Alice’s Adventures in Wonderland and the sequel Alice Through the Looking-Glass. 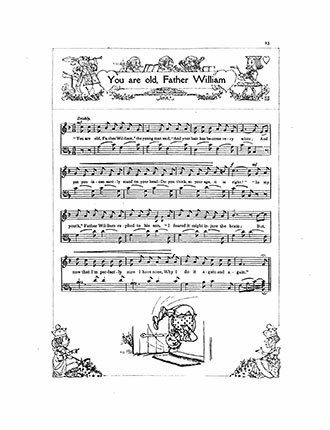 Dodgson was a prolific writer who contributed children’s stories, mathematical theses and political pamphlets to a variety of magazines. 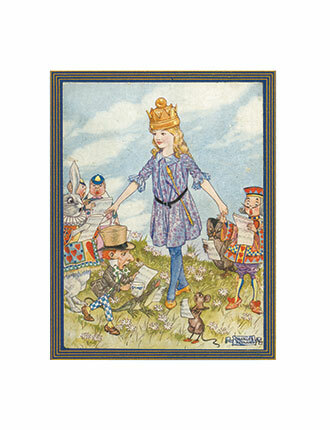 Charles Folkard (1878 – 1963) was an English illustrator. 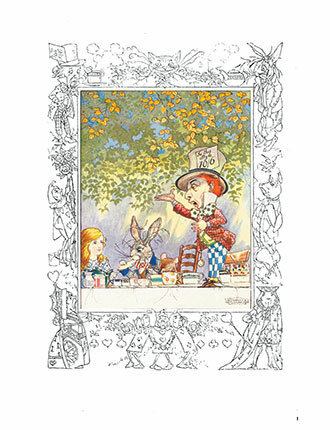 He worked as a conjuror before becoming a prolific illustrator of children’s books. 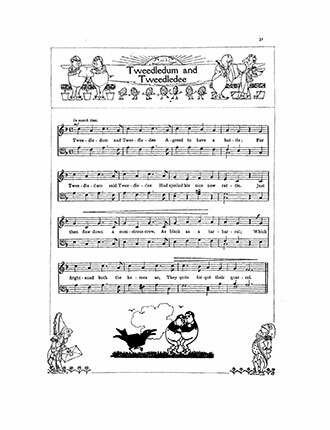 In 1915, he created Teddy Tail, a popular cartoon character who ran in the Daily Mail newspapers for decades. 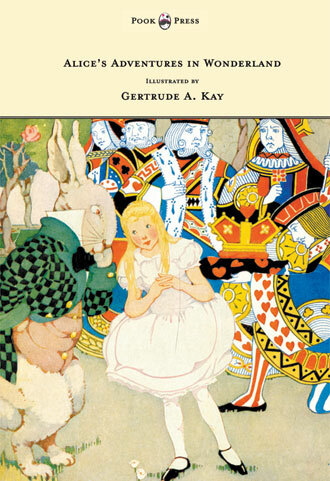 Folkard is well known for his work on The Arabian Nights, Grimms’ Fairy Tales, Aesop’s Fables, and Pinocchio. 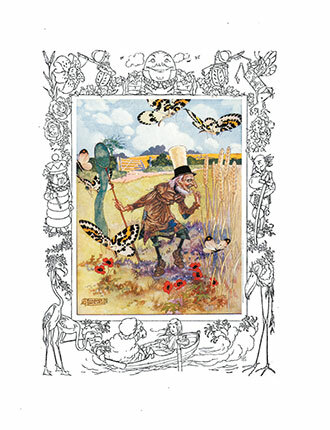 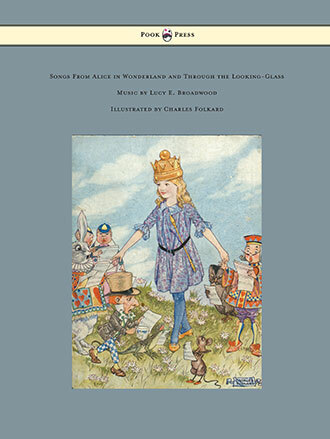 With works such as Songs From Alice in Wonderland and Through the Looking-Glass – Music by Lucy E. Broadwood – Illustrated by Charles Folkard, Pook Press celebrates the great ‘Golden Age of Illustration‘ in children’s literature – a period of unparalleled excellence in book illustration from the 1880s to the 1930s.